Series Four of Britain's Got Talent, a British talent competition series, began broadcasting in the UK during 2010, from 17 April to 5 June on ITV; due to live coverage of the 2010 UEFA Champions League Final on 22 May, the sixth audition episode of the series was pushed back a day to avoid clashing with it. As Simon Cowell became ill while overseeing the judges' auditions, Louis Walsh stepped in as a guest judge in his place until he recovered, while it was the last series to feature Piers Morgan as a judge, before he would move to the United States to focus on hosting his new programme in the United States, Piers Morgan Tonight. The fourth series was won by gymnastic troupe Spelbound, with dance duo Twist and Pulse finishing in second place and drummer Kieran Gaffney in third place. During its broadcast, the series averaged around 11 million viewers, while the live episodes of this series were the first to be broadcast in high definition; both the audition episodes and its sister show, Britain's Got More Talent, remained in standard definition until the following year. 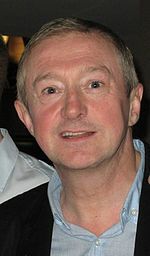 As Cowell was forced to miss out auditions in Birmingham, Louis Walsh was brought in as a guest judge in his place until he recovered. Following open auditions held the previous year, the Judges' auditions took place across January and February 2010, within Manchester, Glasgow, Birmingham, London and Cardiff. They also took place within Newcastle upon Tyne, after they were cancelled at the last minute during production of the previous series. The Birmingham auditions were most notable in this series, due to the fact that because Cowell fell ill before he could attend them, marking the first time in the show's history he was unable to attend auditions, Louis Walsh replaced him as a guest judge for these until he had recovered. One siginicant change made to the programme in this series was towards the scheduling of semi-finals. Both the production staff and the broadcaster decided for the live semi-finals to follow a similar format incorporated in the live final - each set of semi-final performances were held in one episode, followed by a break to allow ITV to air another programme or a news programme, so as to give time for the public vote to be counted. The results would then be aired after this break, in a live results episode, much like the live finals had done in the past three series. ^1 No locations were disclosed for The Chippendoubles or each respective member of the group, during their time on the programme. ^ "Britain's Got Talent is back! 2010 series starts on April 17th". 8 April 2010. Retrieved 8 April 2010. ^ "TV – News – 'Got Talent' return date confirmed". Digital Spy. 7 April 2010. Retrieved 2 August 2010. ^ a b "Britain's Got Talent: Simon Cowell is ill". The Daily Mail. London. 4 February 2010. ^ "PIERS MORGAN 'I'll miss the late-night drinking sessions with Ant and Dec – and winding up my co-judges'". DailyMail. 9 October 2010. Retrieved 10 October 2010. ^ "Piers, Ant and Dec in Cardiff". Wales Online. 26 January 2010. Retrieved 26 January 2010. ^ "TV – News – Walsh 'replaces Cowell on BGT panel'". Digital Spy. 3 February 2010. Retrieved 2 August 2010. ^ "The top 40! – Britain's Got Talent – News Viewer". Talent.itv.com. Retrieved 2 August 2010. ^ a b c d e f "The voting stats". ITV. 5 June 2010. Archived from the original on 19 April 2011. Retrieved 29 May 2014. ^ Jason Deans (20 April 2010). "TV ratings – 17 April: Britain's Got Talent launch draws 10.6m". Guardian. London. Retrieved 2 August 2010. ^ Jason Deans (26 April 2010). "TV ratings – 24 April: Britain's Got Talent continues Saturday-night dominance". Guardian. London. Retrieved 2 August 2010. ^ Jason Deans (5 May 2010). "TV ratings – 1 May: Britain's Got Talent continues winning ratings run". Guardian. London. Retrieved 2 August 2010. ^ "TV – News – 'The Prisoner' drops to 1.4 million". Digital Spy. 9 May 2010. Retrieved 2 August 2010. ^ Jason Deans (17 May 2010). "TV ratings – 15 May: FA Cup final nets 5.6m viewers". Guardian. London. Retrieved 2 August 2010. ^ Jason Deans (24 May 2010). "TV ratings – 23 May: Money opens account with 1.1 million". Guardian. London. Retrieved 2 August 2010. ^ "TV – News – 'Eurovision' draws lowest ever UK audience". Digital Spy. 31 May 2010. Retrieved 2 August 2010. ^ a b Jason Deans (1 June 2010). "TV ratings – 31 May: Coronation Street's HD debut draws more than 500,000 viewers". Guardian. London. Retrieved 2 August 2010. ^ a b Jason Deans (2 June 2010). "TV ratings – 1 June: BBC1 hit by double blow from rival". Guardian. London. Retrieved 2 August 2010. ^ a b Jason Deans (3 June 2010). "TV ratings – 2 June: Coronation Street episode dropped over shooting storyline". Guardian. London. Retrieved 2 August 2010. ^ a b Kanter, Jake (4 June 2010). "ITV prospers despite Corrie's absence | News | Broadcast". Broadcastnow.co.uk. Retrieved 2 August 2010. ^ a b Jason Deans (7 June 2010). "TV ratings – 4 June: Viewers choose Britain's Got Talent semi-final over EastEnders". Guardian. London. Retrieved 2 August 2010. ^ Jason Deans (7 June 2010). "TV ratings – 5 June: Britain's Got Talent live final draws 12m to ITV". Guardian. London. Retrieved 2 August 2010. This page was last edited on 31 March 2019, at 06:46 (UTC).